I think every geek secretly wants to dress up as a zombie, and then go on a rampage to destroy mindless middle-managers. But that's probably just me — and it turns out there's some even better ideas for Halloween costumes. 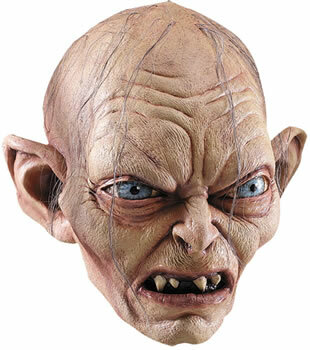 In a way, this latex Gollum mask resembles the very soul of trick-or-treaters. When it comes to sugar-y candies, "We wants it, we needs it. Must have the precious..." No wonder America is fighting an epidemic of obesity! You don't have to fly from Tatooine if you're seeking the great Jedi master Yoda. Apparently he's co-hosting The Today Show with Kathie Lee Gifford. 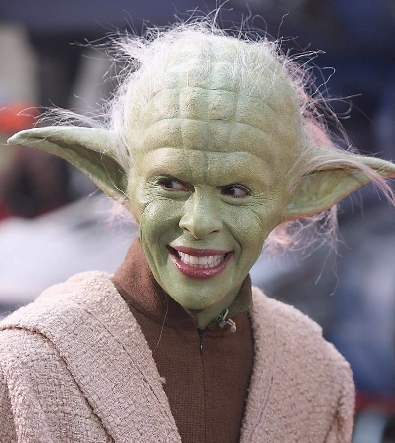 In 2009, news co-anchor Hoda Kotb turned up this fantastic Yoda costume, while Gifford dressed as C-3PO, and Al Roker become Han Solo. Everyone wants to look cool for Halloween, and let's face it, there's no cooler costume idea for geeks than the crew from The Matrix. Trinity is a machine's worst enemy, she's lethal with martial arts, she's liberated herself from the Matrix, and oh yeah, once she even brought Keanu Reeves back from the dead. But more importantly, she really knows how to rock a black latex trench coat! 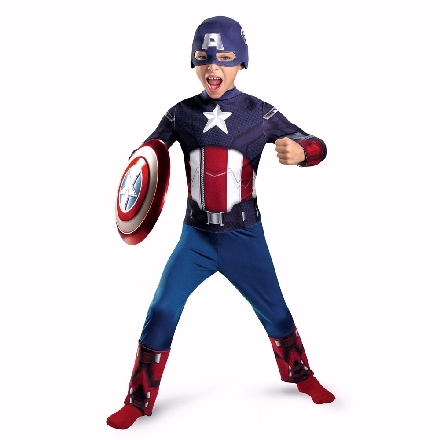 You know what would make this costume even better? If it actually shot real repulsor beams. 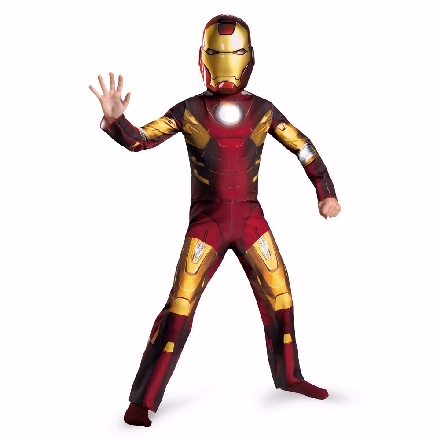 Just imagine a patronizing suburbanite greeting a cute little Tony Stark wannabe — and suddenly their doorstep gets incinerated by a high-voltage blast of pure electrical energy. "Trick or treat!" says the little Tony Stark wannabe. "I'm still mad about last year, when you gave everybody apples." 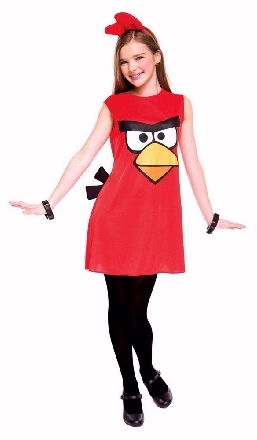 There's nothing geekier than basing your Halloween costume on the characters from a phone app! And for extra effect, make snarling bird noises whenever you get to somebody's house — and then hurl your body against their walls to see if you can knock them over. There's already something Halloween-y already about a school for witchcraft and wizardry. 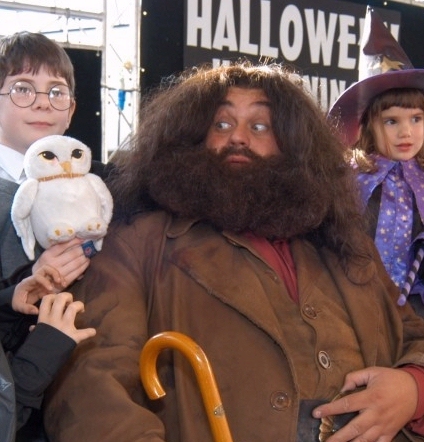 But to embody its heart and soul, try dressing up as gruff, loveable caretaker, Hagrid, who makes friends with everybody — including spiders and griffins. 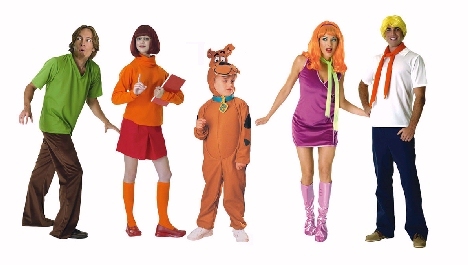 I was always pretty sure that Velma was a lesbian, that Shaggy was a stoner, and that the ghost would always turn out to be someone like old man Johnson, who'd wanted all that gold for himself. 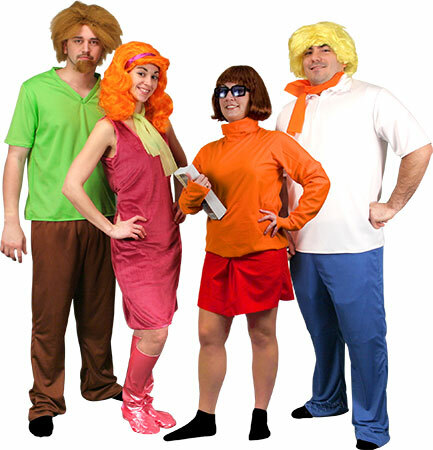 (And he would've gotten away with it, too, if it hadn't been for these meddling kids...) But after 40 years of chasing ghosts, the Scooby-Doo gang are all cultural touchstones — and the one with the glasses has become real a nerd girl icon. Speaking of annoying middle managers, what's the deal with Dr. Bunsen Honeydew? Whenever I watched The Muppet Show, I felt sorry for his poor red-haired lab assistant Beaker, who always seemed to find himself trapped in the internship from hell. 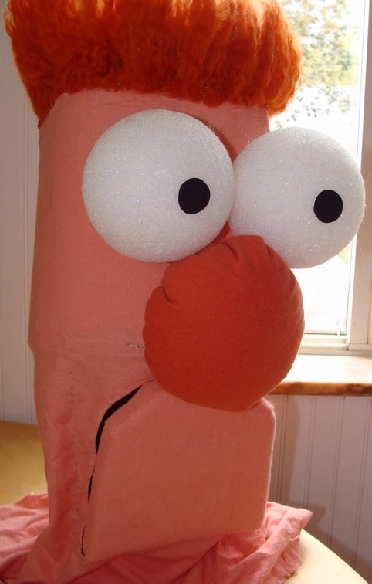 Week after week, Beaker was called on to demonstrate one dangerous invention after another. ("At last, your family can be protected from the heartbreak of gorilla invasion...") But in 2011, someone finally created this loving Halloween tribute to the world's least-lucky muppet. It's nice to think that he finally escaped the world of science altogether, and is now just trolling around the neighborhood collecting candy on Halloween! Will 'The Hunt for Gollum' Satisfy True Fans?